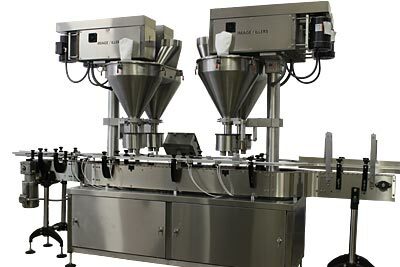 The Image 3800 is a twin head filling machine that can have centers from 9”-20”. Closer centers will require a fabricated fill head. The conveyor system has one infeed conveyor that splits into 2 lanes. The containers get filled (4) at a time with no empty containers going through to a second fill station. This is a true “double your production” filler.